Self-driving cars, sometimes referred to as autonomous vehicles, seem like an inevitability. 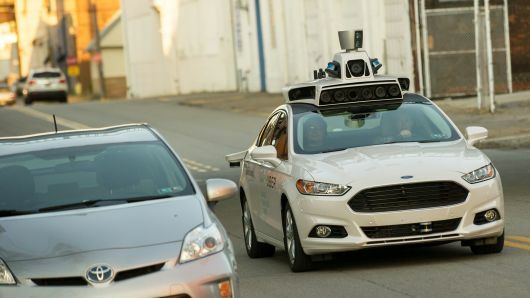 Companies like Tesla, Waymo, Uber, and even old mainstays like Ford and GM all have various prototypes in the field or are currently working on technologies related to the self-driving car. The big question on everyone’s mind is not if it will come to pass, but when? Five years? 15 years? 30 years? Some would argue that the future is already here because we already have cars on the market that can self-drive in certain situations. As Lex Fridman puts it, “Tesla vehicles are able to drive for hundreds of miles in the highway and stay in the lane. It’s doing exactly that with a single camera.” We are on a path in which self-driving cars will become part of our future. Just how that plays out is anyone’s guess. There are two core aspects to think about when discussing self-driving cars. First, there is computerized driving. In other words, a computer, or AI, will take over the car’s functions like pressing the gas pedal or turning the steering wheel. Second, there is the navigation. How does the car know what path to take? How can it navigate highways versus a suburban development? A subset of the navigation is detection of the world. Where are the lane markers? Where are the other cars? Drive.ai’s take on the self-driving car, which will soon be used to shuttle people around cities and to deliver food. The act of getting a car to drive via the computer is generally done by having some sort of controller interface with the onboard computer in a car. This interface then works as a go-between the technology that “sees” the road and the actuators that press the brake or turn the steering wheel. In Tesla’s case, they are building cars that from the ground up are fully integrated with the navigation software and the driver operations. There is another way, however. George Hotz is the CEO of comma.ai. His company seeks to provide devices that work in conjunction with cars that are already on the road. Comma.ai provides a smartphone-like device and a device that interfaces with a car’s onboard computer. This device can drive a number of cars on the road today. A layout of the typical tools a self-driving vehicleis equipped with. For the navigation aspect of self-driving, it is not as simple as plugging the car into the Google Maps. When we human drivers use Google Maps it is very good at calling out directions. It is very good at telling us optimal routes to avoid traffic or tolls. But our human eyes are constantly scanning the road for things other cars, the curbs, or lane markings. A computer, of course, is not a human. It needs to be told how to stay in the lane and how to avoid other cars. The way in which companies are solving this generally run along one of two paths. First, there is physically watching the road. A car can be outfitted with any number of cameras, including a LIDAR camera, to visually assess the road. The other method involves maps. But, as mentioned above, Google Maps is not detailed enough. What companies are using are called HD maps. These maps generally are detailed enough to recognize individual lane markings on roads. They know where curbs start and stop. Using a combination of these HD maps and machine learning, a car will be able to “see” whatever road it is on. Self-Driving vehicles use a variety of sensors to determine what decisions to make and when to make them. When we think about the future of cars you shouldn’t expect to own your car. This is a popular prediction amongst those working in the self-driving industry. It is more likely that self-driving cars will continue as a market that was started by Uber and Lyft. You will use a smartphone to hail a car that will then take you to your destination. What this means is that companies who want to get into the self-driving car business need to think about fleet management. How to get cars to where they need to go and put them on a path so customers are not waiting for a long time? Naturally, companies like Uber and Lyft have a leg up in this department. Their platform is already geared to the challenges of deploying a fleet of cars. But what about companies like Ford or GM who do not have the infrastructure already in place? According to Rohan Paranjpe, an engineer for RideOS, the company he works for has a solution. RideOS is designed to be a horizontal layer that can be utilized as both a navigation solution and fleet management solution. The idea is that the bigger companies like Toyota do not need to build their own fleet management from the ground up. They can use rideOS in conjunction with the other self-driving components of a car. RideOS is partnering with Ford and other companies to develop a self-driving system for the masses. This leads to an interesting observation shared by people currently working in the self-driving field. The future of self-driving is probably going to be divided between closed systems and open systems. As historical precedence, we can look to the way the smartphone market evolved. After all, many of the components of smartphones are directly used to operate self-driving cars: GPS, accelerometers, and cameras. A closed system can refer to Tesla. Tesla as a company is developing every facet of technology in order for their cars to be autonomously operated. In other words, they are the Apple of this space. The different technologies will be highly integrated with each other. The opposite is an open system. These are technologies that work in concert with other components. Perhaps if a car manufacturer cannot afford to build their own fleet management system they license it from another company. Or, like with comma.ai, a company can integrate someone else’s driver-assistance technology. This is similar to what Google has done with Android. The battle lines appear to be drawn along the same path as what the smartphone market evolved into. But, much like with smartphones, there’s no reason why both an open and closed system can’t co-exist in one marketplace. In the future, Frank Chen predicts that the “car-ness” of a car will be less valuable than the “smartphone-ness” of a car. In a future with electric self-driving cars that you hail from a ride-sharing service, it matters more whether or not Netflix remembers where you left off than if the car has good suspension or can get from 0-60 MPH quickly. The 5 different automation levels for self-driving vehicles. So when exactly will self-driving cars take over? It is a difficult question to answer. Predictions seem to fall in the 10-30 year range. 10 years may not seem like enough time, but it should be noted there are a lot of driver-assistance technologies on the road right now. The question is: at what level do you think self-driving has succeeded? From one perspective it won’t be until the cars are at level 5. Fully autonomous in every scenario. From another perspective, the technology is already here. Maybe level 5 cars will never be a reality in our lifetime. However, one prediction is that the car market will resemble what commercial planes are like. Pilots are in charge of take-off and landing, but in between is largely controlled via computer. Until fully autonomous fleets of cars are driving themselves around it is easy to imagine that a driver will pull the car in and out of a garage or parking space. After that, it’s entirely the computer in the car doing the driving. Level 0: No computer assistance of any kind. Level 1: Minor driver assistance. Lane awareness is an example. Level 2: Some driver assistance. Tesla’s highway driving for example. Level 3: 50/50 split. The driver must be alert to conditions of the road. Level 4: Mostly automation. Only under certain circumstances is human intervention needed. Level 5: Full automation. Steering wheel optional. Tesla is seeking to expand into self-driving for the workforce with its Tesla Semi autonomous driving cargo vehicle. As more and more self-driving cars come online, many different aspects of society are expected to change drastically. The need for parking lots will decrease, especially once level 5 cars arrive. Thusly, cities and towns can reclaim that space for other needs. In a future with level 5 cars, the role of a state’s Department of Motor Vehicles will be severely reduced. The car insurance market will be completely disrupted. Insurers will shift from being a B2C (business to consumer) to B2B (business to business). There’s even a chance car insurance companies will completely collapse if the fleet operations decide to self-insure with an internal company fund. The justice system will need to answer difficult questions on the topic of who is at fault in an accident. While it is nice to imagine a future without car crashes that will never be a reality. In the event of a crash who is at fault: the car manufacturer? The software company that developed the AI to drive the car? The LIDAR camera company? Waymo’s current version of the self-driving vehicle. The reality of self-driving cars won’t be far off. In a lot of ways the building blocks of what the future of self-driving cars is already in place. Companies like Uber and Lyft have the backbone of fleet management. Tesla is pushing forward what electric cars can do. Waymo is making leaps and bounds in reducing the amount of human engagement in driving. Soon all these elements will combine into one. No one can say with any accuracy exactly when this will happen, just that it will.